Casparus Johan Bakkes was born on 21 October 1956 in Stellenbosch, the son of the writer Margaret Bakkes and historian Cas Bakkes. He grew up in Saldanha Bay. He matriculated at Afrikaans Hoër Seunskool in Pretoria and studied at the University of Pretoria to become a chartered accountant and auditor. 1983 - 2000: professor at Unisa in Applied accountancy and since 2001 professor in management accounting at the University of the Western Cape. Johan loves adventure, travel and nature and owns a Safari business, Induku. He also works as expeditions organiser. He is married to the artist Nanna Vorster-Bakkes and they have a daughter and a son, Cara and Marc. They live in Paarl. 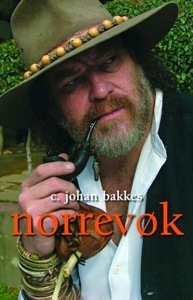 The author Christiaan Bakkes is his brother. Ek is nie 'n skrywer nie, ek's 'n storieverteller, ek's 'n traveller, ek's 'n professionele boemelaar. Ek's doodeerlik as ek dit sê. 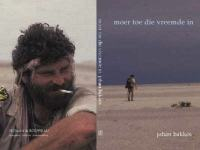 Johan received the Mondi award in 2006 for his article in Insig, Hel Toe on his journey to the furthermost point on the African continent.